I've said it time and time again - breakfast is my favourite meal. From bacon sarnies and beans on toast to shakshuka and bircher muesli - I could eat breakfast at just about any time of the day. 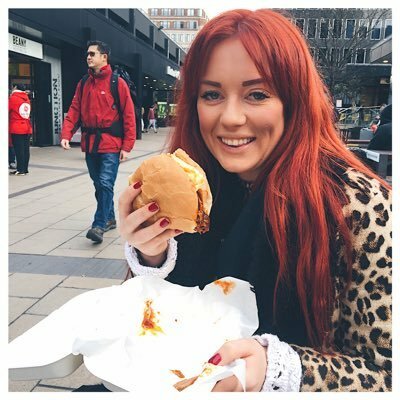 With that in mind, I've decided to share some of my favourite breakfast spots around London with you. I've got suggestions for if you're looking for a boozy brunch or if you're looking for a complete meat feast - so prepare for some #foodporn with my top 5 spots! Not just any eggs benny but a Mexican influenced Heuvos al Benny (£10.50)! 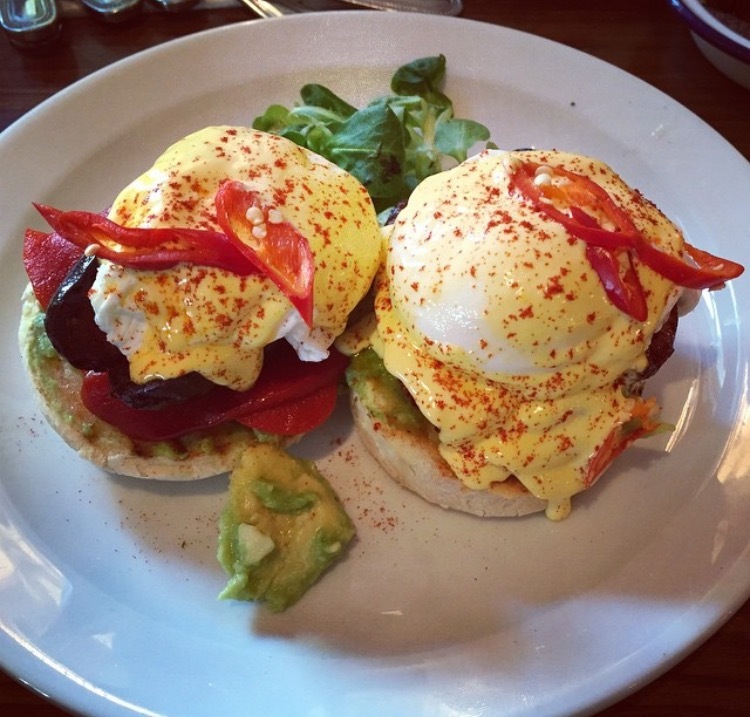 2 beautifully poached eggs on top of english muffins and loaded with avocado, chorizo, roast peppers, fresh peppers and hollandaise. This takes your traditional eggs benedict to new heights. Be prepared for a wait though, The Breakfast Club is as famous for its queues outside as they are for their dishes within. You can find the Breakfast Club across the capital including at Spitalfields, London Bridge, Soho, Canary Wharf and Battersea. 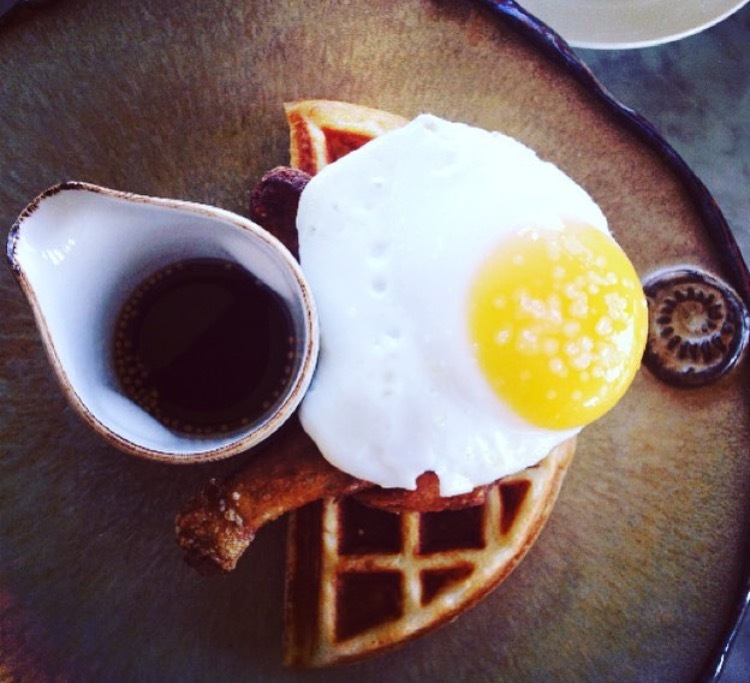 For one of the most instagram-worthy breakfast dishes in the capital you have to head to Duck and Waffle for their name-sake dish (£15). It's a must order but be warned, it's very rich so it's worth ordering one for the table and sharing amongst your group. I also highly recommend the ox cheek benedict (£11) and duck egg en cocotte (313). What happens when you combine a breakfast favourite with a takeaway classic? Heaven - that's what. 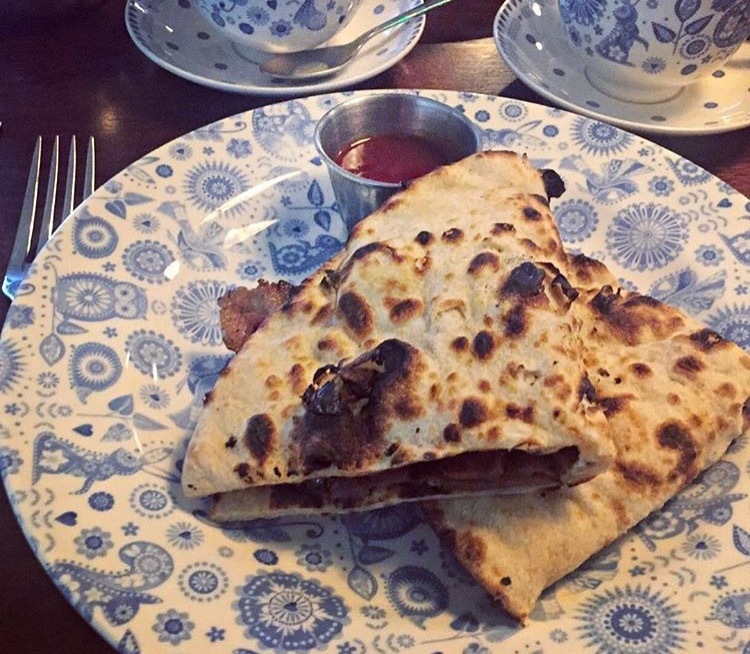 The bacon naan roll at Dishoom is a revelations - a light fluffy naan spread with generous layer of cream cheese and chilli jam and packed with crispy bacon. I promise it's way better than you can imagine! You can't go wrong with eggs for breakfast and Neil Rankin proves just that at his Bad Egg diner. 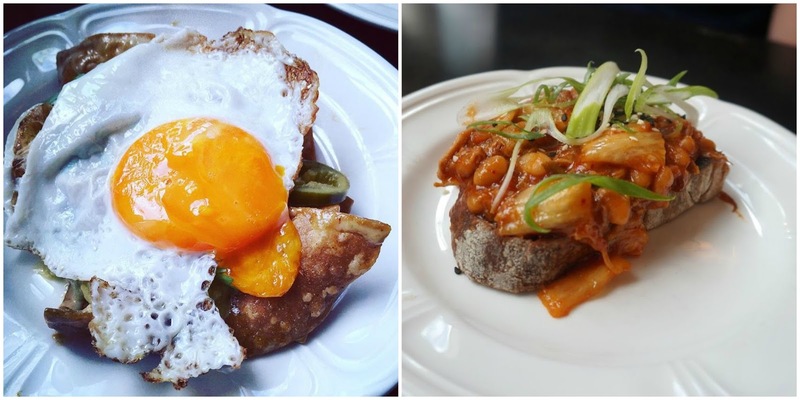 There's a strong Korean influence (note the Kimchi beans on toast) and plenty of egg inspired dishes on offer but head there on a Sunday and you'll be able to get unlimited cava plus 3 egg dishes for £32.50. 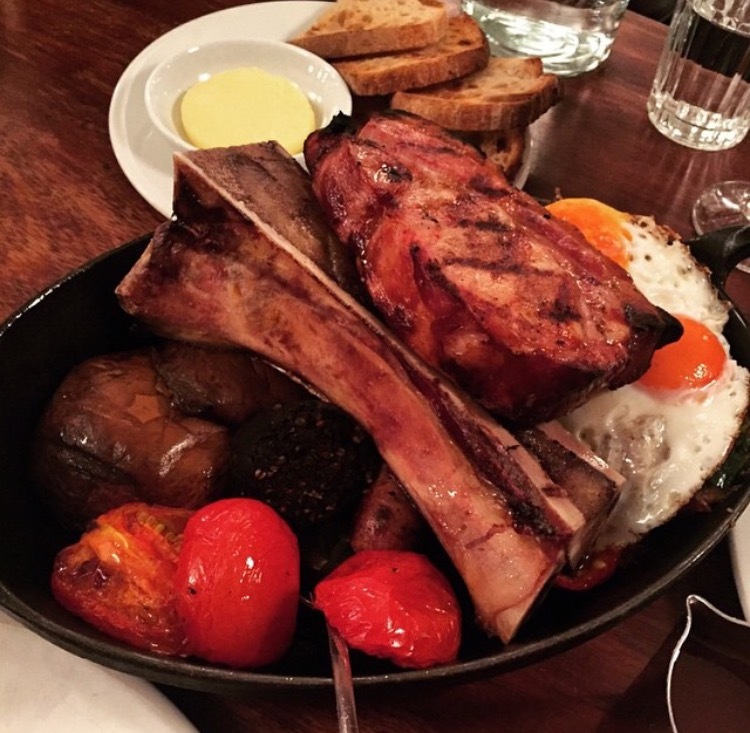 Breakfast at Hawksmoor is a carnivores dream. It comes as a sharing platter and is heaped with bacon chops, tomatoes, mushroom, eggs, sausages and bone marrow on toast. There's even a generous portion of trotters bean - smokey beans with bacon! It's only served at the guildhall branch on a Monday to Friday so make sure you plan a trip.